Cramer & Anderson Partner Joshua Weinshank has been named to the Board of The Ridgefield Playhouse, the landmark nonprofit cultural hub that presents a wide variety of national and local acts in a restored, Cass Gilbert Jr.-designed theater in Ridgefield. “I’m really excited to be part of the Ridgefield community and to be able to contribute to a community icon like the Ridgefield Playhouse,” said Attorney Weinshank, whose role includes advisory oversight of Playhouse operations and fundraising, among other aspects. The Playhouse is anchored by what was once the auditorium in a former school, and the expansion will enlarge and upgrade the lobby by incorporating former Board of Education space. “We’re really looking to expand in terms of the experience for patrons,” Ms. Stockel explained. 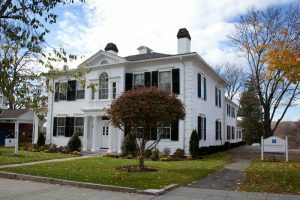 “I’m hoping my legal experience and knowledge of financial issues will prove valuable in helping the Ridgefield Playhouse grow and become even more vital to the community,” said Attorney Weinshank, who just opened an office at 38C Grove Street in Ridgefield and is leading the firm’s growth in Fairfield County. Attorney Weinshank’s practice is focused on Estate Planning and Trusts, along with Elder Law. Playhouse programming also features movies and simulcasts of Metropolitan Opera and Bolshoi Ballet performances, along with Arts in Education and outreach programs, including series that deal with issues being faced by teens. “It’s a great time to be here,” Ms. Stockel said. In another new Ridgefield role, Attorney Weinshank has been appointed to the Finance Committee of the Ridgefield Visiting Nurses Association (RVNA). Attorney Weinshank was also recently named a 2017 New Leader in the Law as part of the Connecticut Law Tribune’s annual statewide Professional Excellence Awards. 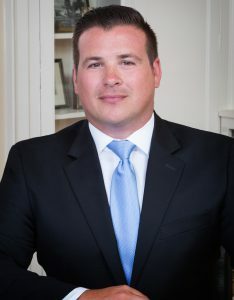 In nominating Attorney Weinshank, Cramer & Anderson Partner Ken Taylor said he represents “the epitome of a New Leader in the Law” by engaging in “high-caliber volunteer community service” as a way of giving back, while also laying the groundwork for cultivating new clients and driving growth and success for the firm. A resident of Ridgefield, Attorney Weinshank may be reached by email at jweinshank@crameranderson.com and by phone at (203) 403-4005 at Cramer & Anderson’s new Ridgefield office.